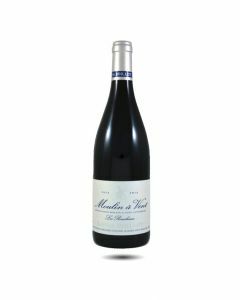 Considered the highest rated of the 10 Beaujolais crus, Moulin à Vent lies in the northeast corner of the region. Many top wines rival village wines from Burgundy. A windmill, dating back to 1930 and classified as an historical monument, serves as the symbol of the appellation. The soil here is very specific; pink granite with seams of manganese ore that gives a rich character to the wines. There are around 280 growers in Moulin à Vent covering over six hundred hectares of vineyard. Regarded as the King of the Beaujolais crus, the wines, produced from the Gamay grape, are full bodied, rich and round in texture with flavours of fruit, wild berries and spice which become more intense as the wine ages over a decade or so. Moulin à Vent wines are excellent teamed with wild game dishes and mature cheeses.